On-going research and development combined with our strong understanding of applications and client requirements ensures we deliver solutions that really do get the job done. We understand that the businesses we work with and the applications they deal with vary. Our commitment to you is that we will work to understand your specification, then formulate a solution that makes your life easy. Besides our technical know-how we have an extensive range of technologies enabling us to deliver straight forward solutions for simple applications or fully advanced products for more complex requirments. 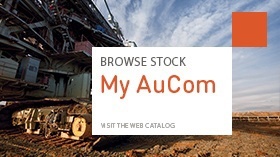 My AuCom - the AuCom North America web catalog - is a great way to browse our range and learn more about AuCom products. At My AuCom you'll find list pricing and current stock levels for our complete low voltage product range, with medium voltage solutions coming soon. Detailed product descriptions, ratings tables and dimensions are available for every product to help you select the ideal solution for your needs. In addition to AuCom factory stock we have strategically located partners in Mexico, Canada and the USA who stock AuCom soft starters. Contact us for details of the AuCom stocking distributor located near you. AuCom North America are specialists in fixed speed motor control. We provide our clients with the know-how and support to help things go Right from the Start.